I seem to be developing a bit of a talent for leaving Devon just when the weather picks up and the thought of being by the sea holds particular allure. 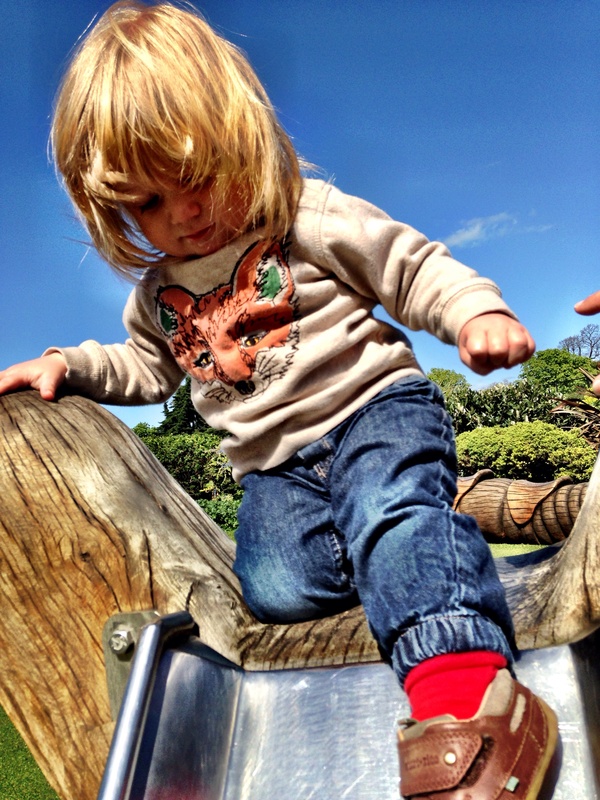 However we haven’t done a bad job of making the most of the weather here in London, and over the weekend we discovered an awesome little playground in Hyde Park where Arthur had a brilliant time hanging out with his cousins. 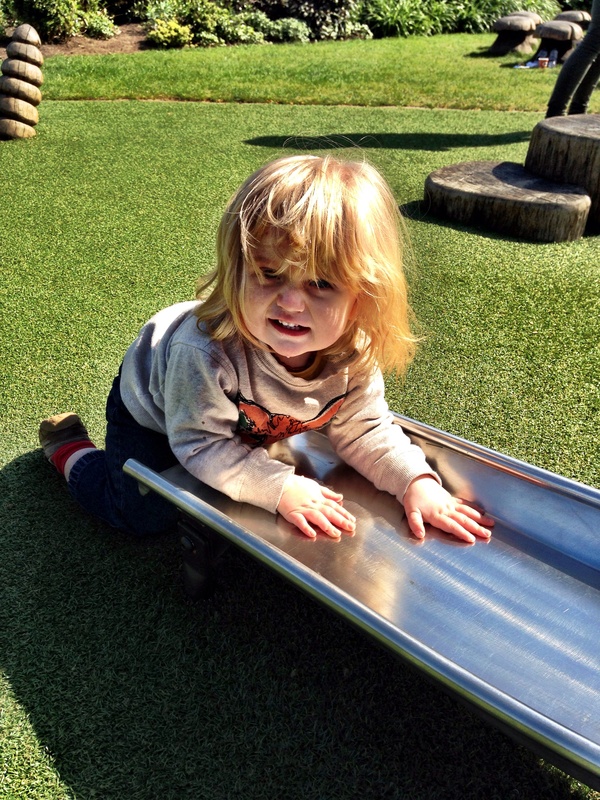 The playground they introduced us to was crafted in oak by sculptor Dan Cordell. It is beautiful to look at, hidden away by some tennis courts near the Albert Memorial. More importantly though it has been built in the perfect scale for little people to explore independently. Arthur loved the little slides with their wide, rounded steps, and though Leigh and I hovered over him we were impressed at how confident he was at navigating them all by himself. Most of all though it was great for Arthur to be able to hang out with his cousins. They were so excited to see him, and even though Arthur was still struggling with his teeth and a bit of a bug they did a very impressive job of distracting him for a while at least. At the groups we go to back home he’s started to become quite fascinated with the older kids, though the feeling is rarely reciprocated. It was lovely to watch him play with older children who were just as interested in him as he was in them, and to watch the beginnings of what will hopefully be lifelong friendships with his London cousins. 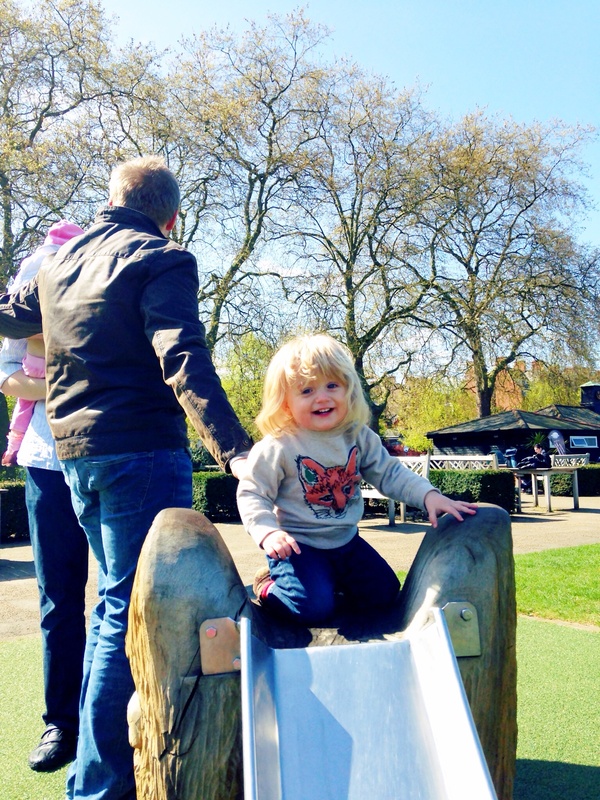 This entry was posted in Sophie is parenting, Sophie is travelling, Uncategorized and tagged cousins, Dan Cordell, family, Hyde Park, London, playground on April 15, 2014 by sophieblovett. What a lovely playground in a fantastic setting. 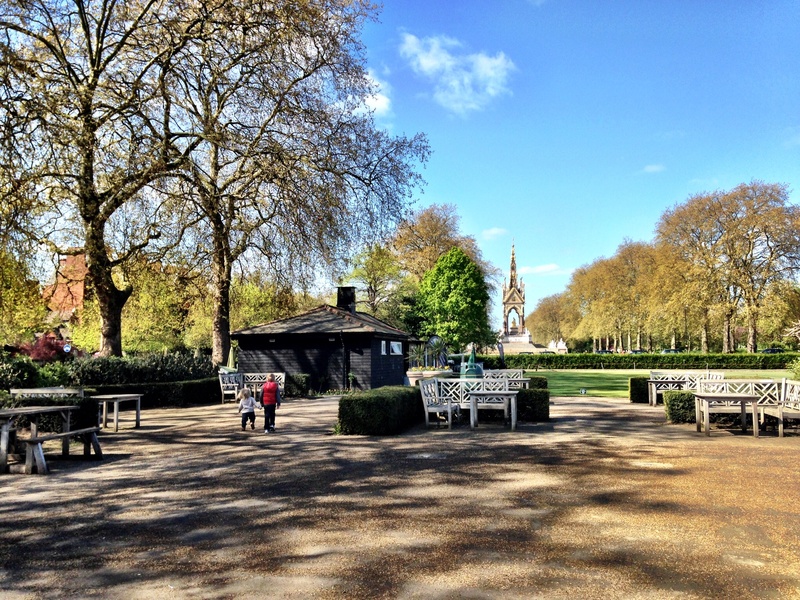 We haven’t been to Hyde Park yet, but it’s definitely on the list. Lovely photos, Arthur’s hair is amazing! Ah thank you! 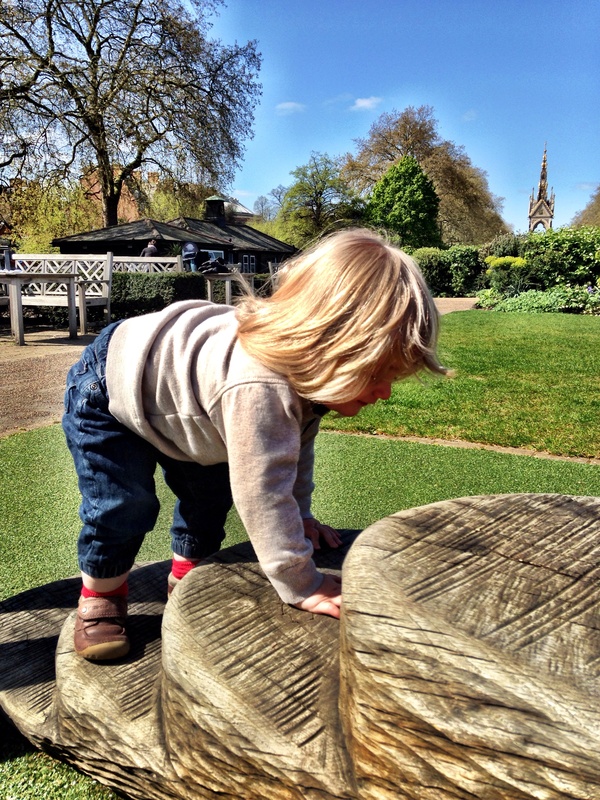 There are a couple of great playgrounds in Hyde Park, well worth the visit.